Among the biggest mysteries of Serial, This American Life’s breakout true-crime spin-off, is why it became the most successful podcast in history. Its central murder-mystery was a shiny, new wheel, but not a reinvented one. No recent true-crime saga has saturated the public consciousness like Serial, perhaps due to its focus on one murder case over a span of weeks, its refusal to prescribe a conclusion, or its campfire-tale approachability. Whatever the reason Serial went stratospheric, HBO’s six-part documentary series The Jinx: The Life And Deaths Of Robert Durst is likely to benefit from the genre’s increased profile. It’s an impressively crafted, meticulously researched show. But as Serial proved, there’s no such thing as an approach to this kind of story that’s so conscientious as to avoid triggering moral and ethical land mines. The Jinx invites comparisons to Serial, but Serial fans seeking a pacifier while Sarah Koenig cooks up the next installment could find The Jinx dissatisfying. Quality is not the issue; The Jinx is another confidently crafted documentary from Andrew Jarecki, director of the unsettling Capturing The Friedmans. But while it opens with a man’s dismembered torso floating near the coast of Galveston, Texas, The Jinx isn’t the story of a murder. 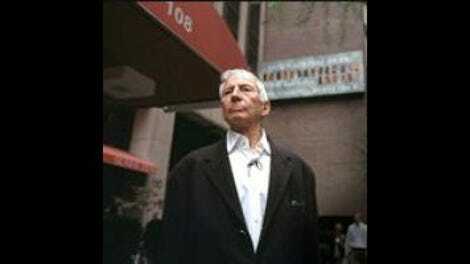 It’s the story of a man, laying out the mystery of how Robert Durst, the scion of a New York commercial real-estate dynasty, found himself on trial for murdering his neighbor, dismantling the body with a bone saw, and tossing the remains into the Galveston Bay. The challenge facing The Jinx is the absence of new facts. Durst’s story, after all, is not the kind an enterprising reporter stumbles onto; it’s a royal flush of baffling, salacious circumstances. Morris Black, the 71-year-old neighbor Durst shot and dismembered in Galveston, is only one of three deaths to which Durst has been explicitly or tenuously linked. Durst dodged the rap for Black’s murder with a claim of self-defense, an especially well-tolerated legal strategy in Texas, where Durst was in hiding following the still-unexplained 1982 disappearance of his wife Kathleen. Durst was never charged in connection with Kathleen’s disappearance, nor was he charged with the death of Susan Berman, his friend and advocate, who was killed shortly before authorities were scheduled to interview her about Kathleen. As if the broad strokes weren’t remarkable enough, the details are so lurid as to suggest Durst fancies himself an oblation to the true crime deities. At the time of Black’s death, Durst was living in Galveston under the assumed identity of Dorothy Ciner, having borrowed the name of a high-school classmate and disguised himself as a mute woman. He went on the lam as Galveston authorities closed in, and was eventually captured after shoplifting a chicken-salad sandwich from a grocery store, despite having hundreds in cash in his pocket. Following his arrest, Durst’s current wife—who says she’d never so much as heard of Galveston—wired a quarter-million dollars the following morning to post his bail. Unsurprisingly, Durst’s story has been pored over in books, in television shows, and in New York’s tabloid dailies, which derisively refer to him as the “cross-dressing murderer.” Jarecki even directed a scripted film, All Good Things, based loosely on Durst’s life, with Ryan Gosling in the lead role and Kirsten Dunst as the doomed wife. It would seem there’s no new ground to turn over where Durst is concerned, but The Jinx has an advantage earlier takes on the story have lacked: Durst himself. 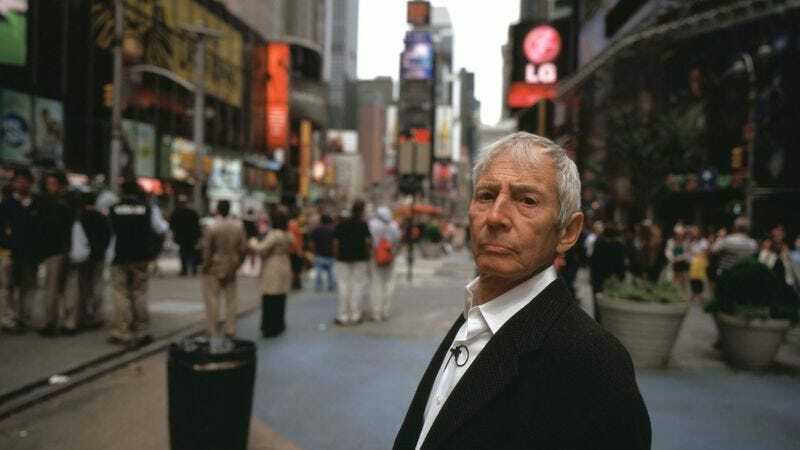 The first episode of The Jinx is standard fare, with Jarecki laying out the sensational facts using a combination of archival material, soft-lit recreations, and interviews with detectives. It’s all horrific and astounding—wait till the responding officer describes how he fished Black’s torso out of the bay—but it’s still note-for-note true-crime investigation, played with great skill. Things get interesting in the second episode, in which Durst sits down for an interview, his first time publicly discussing the matter. He talks about his childhood, in which he witnessed his mother’s suicide, and about his abusive relationship with Kathleen. There’s no context added around that chicken-salad sandwich, but it’s only a matter of time. On purely technical terms, The Jinx is superior to Serial and would attain the podcast’s success if not for human considerations. But The Jinx is not fully digestible on a moral and emotional level. Even though Koenig’s reporting skirts ethical boundaries, the investigation has inherent worth when it could potentially result in the exoneration of an innocent man. The Jinx hands a microphone to a guy who admits to killing his neighbor, sawing through his bones, and tossing him into the bay. He needs no defense in his alleged other crimes because he’s never been charged with them. There’s no upside to this for the people impacted by Durst’s actions. Even if there was a confession coming, its impact would be blunted if presented as one of many points in Durst’s larger narrative. The surviving relatives of Durst’s alleged and actual victims have excoriated the filmmakers, and understandably so. For anyone else, it’ll be more difficult to take a principled stand given how skilled a storyteller Jarecki is. HBO prides itself on acquiring documentaries that flout the conventional wisdom about infamous people, as in the Paradise Lost series and Roman Polanski: Wanted And Desired, and The Jinx continues the tradition of controversial stories too disturbing to invest in but too well-told to dismiss. Capturing The Friedmans also belongs in that list, and after humanizing a man who pled guilty to dozens of counts of child sexual abuse, Durst’s story is practically a cool-down session for Jarecki. But as with Friedmans, there are moments when Jarecki’s daring feats of empathy backfire, forcing the audience into the perspective of those left in Durst’s wake. In those moments, The Jinx makes the best case for why it shouldn’t exist. But even then, just try breaking your gaze from it.